Apollo Bay is a coastal town in southwestern Victoria, Australia. Get out of town with these interesting Apollo Bay side-trips: Colac (Colac Botanic Gardens & Red Rock). Next up on the itinerary: hike along Great Ocean Walk, tee off at Apollo Bay Golf Club, stroll through Mait's Rest, and admire all the interesting features of Karmic Goat Soapworks. To find traveler tips, where to stay, ratings, and other tourist information, read our Apollo Bay trip tool . Baden-Baden, Germany to Apollo Bay is an approximately 35-hour flight. Traveling from Baden-Baden to Apollo Bay, you'll lose 9 hours due to the time zone difference. Finish up your sightseeing early on the 1st (Fri) so you can travel to Portland. Portland is a city in Victoria, Australia, and is the oldest European settlement in the state. Venture out of the city with trips to Nelson (Lower Glenelg National Park & Discovery Bay Coastal Park). The adventure continues: enjoy the sea views from Cape Nelson lighthouse, admire the majestic nature at Cape Nelson State Park, learn about all things military at World War II Memorial Lookout, and look for gifts at Portland Strawberries. To see traveler tips, where to stay, ratings, and more tourist information, go to the Portland journey site . Drive from Apollo Bay to Portland in 4 hours. November in Portland sees daily highs of 24°C and lows of 9°C at night. Finish up your sightseeing early on the 4th (Mon) so you can travel to Warrnambool. Warrnambool is a regional centre and former port city on the south-western coast of Victoria, Australia. Your itinerary includes some good beach time at Logan's Beach and Foreshore Promenade. Change things up with a short trip to The Grotto in Port Campbell (about 44 minutes away). The adventure continues: contemplate the geological forces at Tower Hill Wildlife Reserve, explore the activities along Bay of Islands, don't miss a visit to The Artery, and head off the coast to Griffiths Island. To find other places to visit, photos, and other tourist information, read our Warrnambool online vacation planner . You can drive from Portland to Warrnambool in 1.5 hours. Finish up your sightseeing early on the 7th (Thu) so you can travel to Camperdown. Camperdown is a historically significant rural town in southwestern Victoria, Australia, west of the state capital, Melbourne. Venture out of the city with trips to Port Campbell (London Bridge, Loch Ard Gorge, & more). Next up on the itinerary: appreciate the history behind Robert Burns Statue and get a sense of history and politics at Courthouse Camperdown. For maps, ratings, and other tourist information, read Camperdown attractions site . Traveling by car from Warrnambool to Camperdown takes an hour. Finish your sightseeing early on the 10th (Sun) to allow enough time to travel to Torquay. 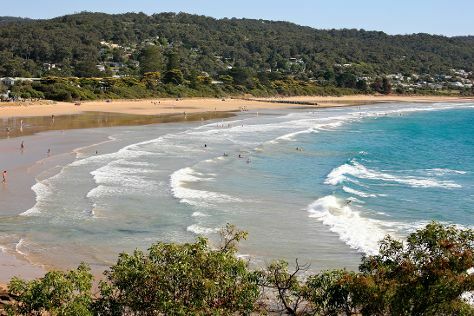 You'll get in some beach time at Lorne Beach and Torquay Front Beach. You'll find plenty of places to visit near Torquay: Split Point Lighthouse (in Aireys Inlet) and Lorne (Lorne Swing Bridge, Teddy's Lookout, & more). Spend the 14th (Thu) exploring nature at Point Addis Marine National Park. 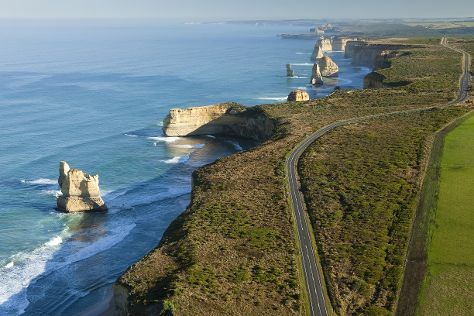 And it doesn't end there: cruise along The Great Ocean Road, explore and take pictures at Great Ocean Road, look for all kinds of wild species at Taylor Park, and enjoy the sand and surf at Bells Beach. Plan a Torquay trip in moments using our itinerary builder. Getting from Camperdown to Torquay by car takes about 2 hours. In November in Torquay, expect temperatures between 25°C during the day and 11°C at night. Wrap up your sightseeing by early afternoon on the 17th (Sun) to allow time for travel back home.